Announcement RSS DESIGNS IN FIBER has a Variety of Personal Accessories and Handmade Decor Accents in Crochet, Knitting, Sewing ..... "Discounted Items" Section is 30% Off --- Always available: PUBLIC COUPON CODES: As of May 15, 2017, the Code is "LargeOrder2017" for $5 OFF for a Minimum Purchase Total of $40 or more ----- RSS Designs In Fiber makes Decor, and Decorations - Hats, Scarves, Bags, Pouches and Crocheted Jewelry including Chokers, Key Chains, Necklaces, Cuffs, Pendants -- and a variety of Fine Thread Crochet Art creations and some in Yarns -- Focused on Nature Inspired Themes and Colors -- for example, Floral/Flowers, Tree and Animal themes!! Taking Custom Orders as usual now - If I have multiple Custom Orders and "Made To Order" Listings at a time, I do them in the order received with payment cleared. -- Sometimes Discount Different Sections - Can Always Check! --- Ready-To-Ship Items Ship in 1-2 US Post Office Business Days after receiving confirmed/cleared payment in either my PayPal Account or Bank Account - this covers PayPal Transactions, Etsy Payments Transactions and Payments By Mail Transactions. --- Custom Made-To-Order Items have processing times stated in Item Description. If multiple Custom Made-To-Order items are ordered, you can add up the processing time for the total processing time for all Custom Items. RSS Designs In Fiber Ships to USA Addresses USPS Priority Mail with Tracking and Insurance. 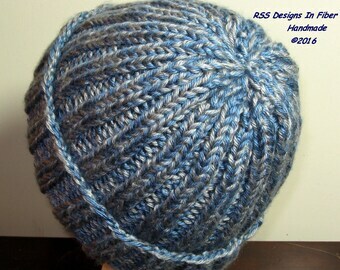 RSS Designs In Fiber does INTERNATIONAL Shipping - See Individual Listings and Policies. Wherever you live in the World, I am willing to ship - Contact Me for a Shipping Quote. I Do *CUSTOM ORDERS* In The Order Received! Customer will be informed at time of Custom Order arrangement and/or payment how long it will take to complete the Custom-made Items and send photos and then Ship. RSS DESIGNS IN FIBER has a Variety of Personal Accessories and Handmade Decor Accents in Crochet, Knitting, Sewing ..... "Discounted Items" Section is 30% Off --- Always available: PUBLIC COUPON CODES: As of May 15, 2017, the Code is "LargeOrder2017" for $5 OFF for a Minimum Purchase Total of $40 or more ----- RSS Designs In Fiber makes Decor, and Decorations - Hats, Scarves, Bags, Pouches and Crocheted Jewelry including Chokers, Key Chains, Necklaces, Cuffs, Pendants -- and a variety of Fine Thread Crochet Art creations and some in Yarns -- Focused on Nature Inspired Themes and Colors -- for example, Floral/Flowers, Tree and Animal themes!! Taking Custom Orders as usual now - If I have multiple Custom Orders and "Made To Order" Listings at a time, I do them in the order received with payment cleared. -- Sometimes Discount Different Sections - Can Always Check! Cup Cozy Set of 2 in Americana Red White N Blue - Handmade Reusable Cup Cozies - Red White and Blue with Navy Blue Cotton Yarns - Stretches! So beautifully made. Shipped quickly. Thank you. Hi! I'm Ruth Sandra Sperling - the "RSS" in RSS Designs In Fiber, an Independent who Crochets, Knits and Sews and sells some of the Finished Products - some of which you will see here in my Etsy Shop! How did it start? 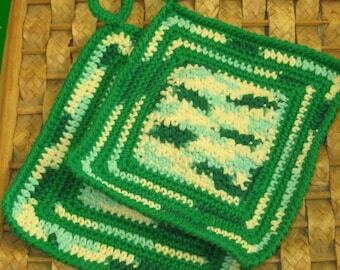 Actually, I had been Crocheting since my Teens - drawing and doing other Arts and Crafts since I was a Toddler. In 2001 I had started spending a bunch of time Crocheting all kinds of things: an Afghan, a Sweater - and kept doing more in 2002: a Mat, a Bag, a Lap Blanket, a Stuffed Egg, a Stuffed Pillow, Hats and Scarves, a Stuffed Giraffe, a children's outfit - some of patterns I had and some I made up on my own! Then, for the Winter Holidays of 2002, I participated in a local Holiday Boutique - and had some Hats and Scarves on consignment in a local store. I found out that some people like buying things I made. Then I was asked if I would crochet some Thread Crochet Doilies to sell locally - and some of them sold and some people wanted Custom-made Thread Crochet items -- and my little Handmade Craft Business started - and has been going ever since! I NOW make a variety of things!! In Thread Crochet, I make all kinds of things from small Trinkets (Coasters and other Decorations) to average-sized Doilies to large Centerpieces and Table Runners - even a Tablecloth - mostly Decor, but also some Personal Accessories or Things To Wear. In Yarn, I both Crochet and Knit: Decor, Personal Accessories, Hats and Scarves, Bags (including Laptop Sleeves). - And all kinds of Stitches! I also Knit - from basic Stockinette and Garter Stitches to Cables and Lace and Tapestry. I sometimes make things combining Sewing Fabrics and either Crocheting or Knitting. I sometimes incorporate different kinds of Beads in my Crochet and Knitting! In addition to my Current Listings, you can check my previous Sales - or search RSS Designs In Fiber online to see the different Handmade Items I have made and are in photographs online. Everything in this Etsy Shop, RSS Designs In Fiber - is Handmade Only by Ruth Sandra Sperling - or may be a Supply for Handmade sold by Ruth Sandra Sperling! I have a life-long love of Arts and Crafts of many kinds - some I have just admired - some I have attempted doing - since I was a Toddler. 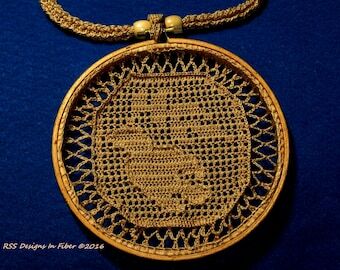 Now I focus on doing the Fiber Arts Designs like I sell here - and Outdoor Photography - Inspired by Nature! First - I believe in respecting the Privacy of my Customers -- and I do not publicly mention the Buyer without the Buyer's specific permission - or request. There are no Third Parties involved in handling Buyer information at this time other than the business through which any packages or written communications are mailed. I use the U.S. Post Office for all mailing of packages and written communications unless the Buyer requests another company - and I mail everything myself. - Buyer information to do Custom Orders in emails - or by written communication. Please Note: I keep Paper Files. I Print Up each Etsy Order - a copy of the Packing Slip that I put in each Package - and keep it in a Paper File offline - with the receipt from the Shipping company (usually the U.S. Post Office). On Custom Orders, as I keep a notebook of Inventory for each item I make, Buyer instructions to make Custom Orders are kept in my Paper Inventory files. So far, since I started selling Items I make, my Paper Records have been kept since I started. No one else sees them but me at this time. I handle all my own Accounting. I keep a Spreadsheet of Sales with only the Buyer Name and Dollar Amounts for each Sale/Transaction for Sales Taxes and my own Income Accounting - officials may see the Spreadsheet, but it is all considered confidential as relates to me and nothing but the Customer Name and if they are in the USA, in the State of California - or a Foreign Country - as required for legal reporting (address not on Spreadsheet). The Buyer may contact me at any time to get a copy of any information with their name on it. To do so, they would need to provide their current contact information including their current email address and physical mailing address at the time of request for such copies. If the Buyer cancels before Shipping of a product, there will be no Paper File - just online information on etsy.com. If an item is returned - I still keep all documents for legal reasons, but will not discuss any problems unless it is legally required. At this time, I do not do regular or periodic marketing communications directly to customers unless the Buyer contacts me by email, requesting it, - or through Social Media - and then all such information is just kept in my Email Account or on the Social Media, except in the case of Custom Orders, where I write information down in Paper Files and my Policy on Paper Files as written above applies. 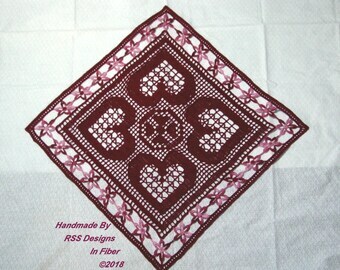 I can be contacted here on Etsy through Etsy Convos - or by email address at rssdesignsinfiber@gmail.com. Once a Buyer has purchased something from RSS Designs In Fiber, they have my physical address to write me at. Yes, I do Custom Orders - and I do them myself in the Order I have arranged them! I will arrange what the Materials, Colors, Size, Price, Production Time, and Processing Time are with the Customer by Email. Once all details for the Order are arranged, an Advanced Payment - Minimum 50% - is required to start Production. Upon completion of the Custom Order, I send photos - and I Ship upon Customer Approval and Cleared Final Payment. I Ship by US Postal Service as soon as possible once payment has cleared my account whether Payment is through Etsy Payments, PayPal or Payment by Mail - usually 1-2 Post Office business days after cleared payment. The Time of Shipment after Purchase will depend on Customer's choice of Payment Method - and when that clears. I prefer Shipping USPS Priority Mail with Tracking and Insurance, which is what is on each Etsy listing and the Package usually arrives at the Customer USA Address in 2-3 days. Upon Shipment, I provide the Customer with the Tracking information. I will make arrangements to ship Internationally on a sale-by-sale basis with the International Customer.